With an ever-growing number of resource management issues in today’s society, countless voices struggle to be heard. 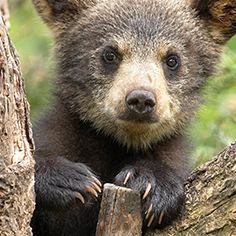 The foundation intends to advocate for bears and bear habitat and the concepts of adapting human attitudes and lifestyles to live with bears. Media Outreach Workshop and Seminar: With the increased number of bears in the state come an increased number of reports involving them. The Foundation will sponsor and hold three workshop/seminars for local media in Kansas City, St. Louis and Springfield in March. Featuring animal damage control specialists, the lead investigators from MDC’s Missouri Black Bear Project and experienced animal incident specialists, our goal is to equip reporters with the tools and information they need preemptively, so that they may accurately report on any bear-related event that should arise. Create and promote "Bear City, Missouri": Willow Springs, Missouri, along the southern has a long history of black bear sightings. We are currently working with city leaders in Willow Springs to designate and brand the city as "Bear City, Missouri." Plans include logo treatments and establishing a "Bear Festival" in the fall. Build the Missouri Black Bear Foundation Brand: In addition to program-specific activities, we will continue to build the Missouri Black Bear Foundation brand with members like you, including an annual banquet to solidify the independent voice of the Missouri Black bear resurgence.